KNIGHTS (Keep Nurturing and Inspiring Good Habits in Teen Sleep) is the first 3D animated movie on sleep deprivation among teens in the world. It has received two Remi Gold Award in the worldfest film festival represented by 57 countries held in Houston in April 2012. This Movie has been scripted by children from our middle and high school. Lack of sleep reduces concentration and comprehension. Sleep deprivation causes violent and hostile behavior. Sleep is essential to brain development and is necessary at each age level. Almost no high school or college students sleep enough. More than 90% of teenagers get less than 9 hours of sleep. Sleep deprivation causes negative health effects such obesity, cardiovascular disease, diabetes, and depression. Sleep deprived teens rely on energy drinks and caffeine to keep them awake. Sleep deprivation causes you to be as impaired as driving with a blood-alcohol content of 0.08%, which is illegal.Drowsiness and falling asleep at the wheel causes more than 100,000 car crashes per year. Drowsy drivers cause 1,500 deaths per year and 40,000 injuries. Sleep deprivation is linked to a higher body mass index, which is a sign of obesity. Reduce noise, light, and excessive hot and cold temperatures in your bedroom to sleep efficiently. About 25 percent of American children aged 1-5 have a sleep disturbance. Sleep disorders and sleepiness cost the general public over $16 billion annually; an additional $50 – $100 billion results from the indirect costs of accidents, litigation, property destruction, hospitalization and death. The U.S. Department of Transportation estimates that 200,000 reported automobile accidents each year may be sleep-related. About 70 million Americans suffer from a sleep problem; nearly 60 percent of them have a chronic sleep disorder. Importance of sleep is not completely recognized among children and adolescent population. Majority of the adolescents do not get recommended amount of sleep. Those imbalances occur as a result of interactions between intrinsic factors such as puberty, and extrinsic factors as school start time, insufficient sleep, Internet based chatting. Adolescent children have a phase-delayed syndrome, which results in going to bed late and waking up late. On the weekdays this results in sleep deprivation as they continue to go to bed late and wake up early. This sleep deprived habits during their teen years can lead to challenges during their college years. Sleep deprivation on the other hand can lead to poor grades, increased risk of motor vehicular accidents, obesity as health related problems. 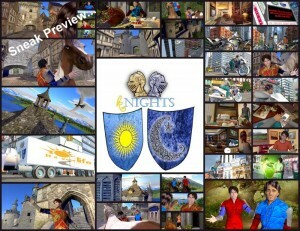 Project NIGHTS is unique because it is a teen-driven project in which both the target population and the educators are teenagers. This project is distinct because it is one of the only teen driven projects that utilizes multimedia productions, such as educational documentary videos in order to successfully communicate with our generation. Project NIGHTS (Nurturing and Inspiring Good Habits in Teen Sleep) is a youth-driven, community project sponsored by Itâ€™s Your Life Foundation in collaboration with American College of Chest Physician, CHEST Foundation and American Sleep Medicine Foundation, established to educate teenagers in our community about the significance of sleep, sleep hygiene, and the risks associated with inadequate sleep by creating a multimedia presentation explaining these substantial concepts. The main goal of our project is to improve sleep hygiene, prevent health hazards of sleep deprivation, and as a result decrease the obesity and accident rate in adolescents by making an impact on teenagers all over the country. We designed a unique way to reach our target population by developing animated movie (first 3d animated movie ever in the world on sleep deprivation and sleep education), presenting with the collage of animation, and impressive music along with the Rap song to connect with the children population in their way.